What Are Your Marketing Leaders Not Telling You? Most “Network Marketing Leaders” are not telling you everything you need to know. Why are they not telling you? As you continue to read, you will discover why you have been struggling from this lack of information in your network marketing business. Most “Marketing Leaders” have been teaching what they were taught about sponsoring, but maybe not everything they know. And of course, you’ve been racking your brain trying to discover what secret you don’t know that is causing you to struggle. You’ve asked yourself, is it your belief in your product? Is it a belief in your company? Is it a belief in yourself? Is your frustration that recruiting people to follow you so that you can build a team, that is just making you crazy. From what I learned in the many years I have been in network marketing, when you put yourself in the position of a victim and blame others you are in trouble. But you know others are succeeding and making 6 figures, so you know there is something missing and you would like to figure it out. Is your belief in the industry strong enough and your desire to be able to create the dream strong enough to keep going until you find the way to succeed? What do you think you need to do? Do you see that others are succeeding in your company? Are you committed to yourself and learning some new things that could make a difference? 1) You need to make your list and contact everyone you know. 2) Share with everyone that is within 5 feet of you. 3) Learn to engage people in conversation and get your elevator pitch down pat. Listening is one of the most important skills you must learn in your family and in your business. Listening gives you the opportunity to understand and ask appropriate questions. Through listening and asking the right questions, your relationships will improve. Listening will allow you to discover more about who a person is and what’s important to them. This is an important skill to learn to be able to have conversations with anyone. Truth is, that NOT EVERYONE is right for your business, even if you talk to them and listen. You can’t promote your business to Everyone. So what do you do? To build your team and do it the fastest way, I’d like to introduce you to a word………AVATAR. An Avatar is a singular person who represents the perfect person who most likely will buy what you design your entire marketing system around. The biggest mistake most network marketers make is, that they believe everyone NEEDS their product and EVERYONE can benefit from it. It is a mistake to market to everyone and the result will be that you Make Few Sales. When you think about your offer, think about who would benefit from it the most. Who wants it? Who is looking for it? Who is dreaming about their problem or their pain and is looking for an answer? Why would your prospect benefit from your offer and what kind of challenge may they be experiencing? Why would this be the Solution they have been looking for? How will this product benefit them after they purchase it? How do you figure out who your Perfect Customer Avatar is? Think carefully about who the person is that is your perfect Avatar. It will be easier to market and present when you can offer the solution to their pain. 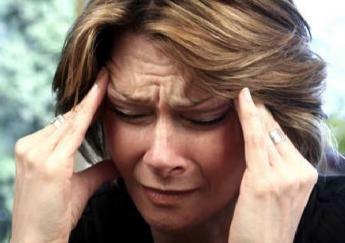 1) What are the Challenges and pains your prospect is dealing with everyday? 2) How can you help your avatar solve their specific problems? 3) What is the typical day like for your avatar? 4) Give your Avatar a name. What do they do for a living? How old are they? Family? Married? Working? Describe them in as much detail as you can. Go into detail. This is a simple exercise to create your Avatar. Once this is done, you can create advertising and offers to them, that will bring quality distributors into your business. The truth is your “Marketing Leader” may not know about creating an Avatar. They are teaching you what they were taught. Problem is they can’t give you what you need to breakthrough, to be more successful in marketing to the right people. This training is taught in this Attraction Marketing Course. 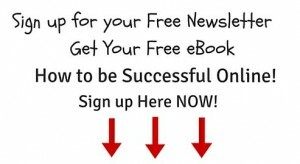 You will receive 11 Attraction Marketing Boot camp lessons FOR FREE. For me, it was a great way to put me on the right path to reaching the right people. Please leave me some comments if you found this helpful. If you found it helpful, please pass it along in Facebook and Google+. This entry was posted in Building a team, Building Lists and tagged Leaders lying about sponsoring on July 27, 2014 by BoldandBrave. I’ve been washing clothes getting ready for the weekend and the washing machine stops. Water and clothes still in the washer, partially spun, it could have been worse, the machine could have been full of water, it stops. Can’t be revived. You know how it is, best laid plans and you have to take a detour. So what to do? I remember we have a Service plan for the appliances. I give them a call, they can’t come out till next Wednesday. Good news, it won’t cost us anything when the repairman arrives, but we need to wait 5 days. Groan…. It seems that these hiccups happen to us all the time. They come to us in all different kind of ways. So how do you stay on track with where you want to go when as the saying goes “life gets in the way.” For me it has to do with intention and the desire of where I want to go and that its stronger than the things that take me away from my intended tasks and ultimately my goals. For me I need to calm myself down after the interruptions. Take some deep breaths and forgive myself for my own upset and get my bearings again to stay on track. I am a pretty disciplined person and I still have trouble getting refocused to get back to what I was doing and getting myself back into a state where I can do that. Often times more things come up that need to be dealt with. If it has to do with people, they most often take priority. It is very easy to get swept up with the urgent and never get to the important. So what do you do to stay sane, deal with the urgent, and also not forget the important before they become urgent and then it may too late. Identifying and prioritizing is what will serve you best. Having enough flexibility to deal with what comes up and having a plan that lets you get the important done and worked on so you can reach your goal. What are you going to do if you want your life to run more smoothly, you want to be able to make your life be more productive and get results? Its not going to happen by just wishing things won’t be getting in your way. First you will need to forgive yourself. Quit beating yourself up. When you look at your life and the direction you are going, you need to make an assessment about how much are things bothering you. Do you need to make some changes so that you can get back on track? . Are you fighting your own nature?, Are you listening to your heart ? Is the direction you are going, getting you where you want to go? Things need to start with the first step. You can’t run a marathon, exercising and running only once a week. Make a to do list, set an intention of where you want to go and decide to do it. When you feel you have more control of your work, you will start to feel better. You will start to make progress. 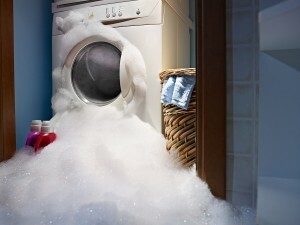 Just as the washing machine breaks down, we may have lapses, breakdowns, we need to pick ourselves up and start again. Learn to be kind to yourself and believe in yourself and that you and your goals are worthy of being achieved and that you will get there. Loving yourself through this process is essential as you continue to grow and and achieve a better you. With your determination, you will be able to achieve your goals of creating a better life for yourself and your family. Keep believing in you, your goals and your deepest desires and Dreams. As Winston Churchill said, “ Never , Never, Never give up”. This entry was posted in Personal Growth and tagged Personal Growth on July 19, 2014 by BoldandBrave. Why Start your Blog While You’re Working? So you are tired of the endless stream of rejection and you are looking for another way to build your business. Will starting a Blog while you’re working at your job, be an answer? What if you could generate 20-100 leads a month that want what you have. How could you do this? Are you tired of wasting your hard earned money on tire kickers. People who don’t have any credibility . You are wondering how you will ever succeed in this home business arena or even a Brick and Mortar Business where you need more sales. You don’t want to give up on your dream of financial freedom, or at least not having to worry about money anymore. So what is the answer to finding people or have people find you? Blogging is a way that you can make money by itself or add it to your existing business. There are some people who have started a Blog out of their own interests or a hobby that they love and have made money in the process. Sounds crazy or sounds like a Dream. It’s true. Remember the Movie Julia and Julia? Its about Julia who cooked all of Julia Child’s recipes and Blogged about it. It became a movie. If you haven’t make a point of seeing her process. 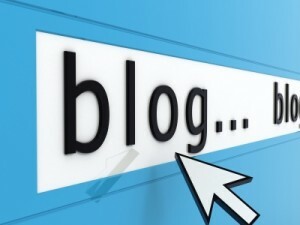 How will having a Blog Benefit You? The Power of the Blog doesn’t need to take all of your time. What will starting your Blog do for you? 1) It will give you a credible business platform. You will be an expert in what you do and not just a business owner. 2) Increase the organic SEO (Search Engine Optimization) traffic to your website so that more people will find you. 3) Provide you with an extra stream of passive income. I was in a situation that you may find yourself in. You found a company and you are in love with their products. You definitely are enthusiastic about how you feel if it’s nutrition or if it’s new technology, you are enthusiastic about how it will assist people. Here may be some of your obstacles you have run into. 6) Missing a Coach or Mentor So where do you start. First you will need to figure out who is your audience if you already have a business. Does your business need more traffic? Who wants this information? Are you looking for people who are looking to better their life? Business owners in a Brick and Mortar Business, Realtors, Mortgage Brokers, Any Business Person wanting to build a wider audience? Do you want to reach frustrated network marketers? Who are the top leaders in your company? Pharmacists, Financial Analysts, Dentists, Doctors? What don’t they have enough of? Time with their family. Time to pursue many important Projects that they believe in, but if they quit working, the money stops. Do you think what you have will appeal to people who want Time Freedom and Financial Freedom?? You can set up a Blog for less than $70. Next Step, let people know about your Blog. Use Social Media. Facebook, Google +, Twitter, Pintrest or any other Program you are a part of. What’s Your Destination? More time with your family? Travel, Vacation? Build your Bank Account? Pay off all Bills? Buy a Car? Save for your child’s education or make money now to send them to College? Build your bank account , to have more security? Build your bank account to secure your retirement? This will be your most valuable resource in building your 6 or 7 figure business. To hear more tips and tricks for starting your Blog and working Online, sign up for my newsletter here. This entry was posted in Building Lists and tagged Attraction Marketing, Blogging, Desire for change, Internet Marketing, Online Marketing, work on the internet on July 11, 2014 by BoldandBrave. It’s an important question to ask, because you don’t want this problem to continue. I’ve heard the statement that money isn’t everything, but it’s right up there with oxygen. No one wants to have money worries, I know when I’ve had them, I had trouble sleeping at night. There is always something you need that comes up, and when you can’t act on that need whether it is for yourself or your child or children, it feels really bad!! It can sometimes get so bad that you may not want to answer the phone. So what are you going to do? Get another job? Get 2 jobs, maybe even 3? That may help momentarily, but you are away from the ones you love the most and care about. The wages in our great Country have certainly not recovered since the crash in 2008. Jobs are coming back, but great paying jobs across the board are plain not there. The economy is changing. Manufacturing jobs that we once had are not coming back. Re-education into new fields can be a possibility if you are young and can take advantage of getting back to school. Statistics are that by 2020 40% of the workforce will be private contractors. Click Here to find out more. Many people middle aged and older have more trouble being hired, because they are over-qualified in their field and what they did is no longer wanted or valued. Their worry about money may be constant. If we had retraining centers that wouldn’t jeopardize unemployment, and could redirect our eager people who want to work, that might help, but by and large they aren’t there. We have many Professionals who are in the same boat. We have many highly skilled, very well educated people that Employers don’t want to hire, because they are middle aged or older; they would much rather hire a younger person for much less and train them in the ways of their company. It makes their bottom line look better with cheaper help. Companies in this time since the recession have become very lean companies with people working more jobs, sometimes more hours instead of hiring more people to lessen the workload of those that are carrying the load of more. Who is feeling the squeeze? The people that are in these jobs where the squeeze is going on, may also feel they don’t have many options. If they leave, they may not be able to find work that will feed them and their families. This worry about money and needing stability can leave a person feeling trapped. This hardship has taken a big toll on the American people and their hope for the American Dream where they can continue to improve themselves and that their children will be able to live a better lifestyle than they were able to achieve. I want you to know that I am acutely aware of the problem that most Americans experience where there is not enough money and the worry about money is all the time. Many dreams are going unfulfilled right now. What are the options for individuals to change the course of their future? If you are stuck, what can you do differently that could change the course of your financial life? Could you work for yourself? Do you have an entrepreneurial spirit? Are you motivated enough to keep going long enough to learn what you need to know until the income shows up? Do you have a can-do attitude? Are you unstoppable? Is a home business something that would be a fit for you? If it is, don’t listen to the naysayers, remember this is Your life. How would you figure out which one is the right one for you? The investment to start a home business is much smaller than a storefront or a Franchise. Ask questions and do some learning first. I was also in your position wondering what could I do to help my family without having to take on many more jobs. I had small children and being away from home was not an option for me. I felt the same way you might be feeling about what was available and would it be real. There is so much out there now to chose from. How can you ever decide which one? I jumped in and tried home business as my option and have had wild success and also some failure. The promise of long term income with a home business was very intriguing in what that could mean to me and to my family. I have been luckier than most to have long term (21 years) of residual income. I also discovered a way to have a business from home that will bring very successful results using new technology. The Dream is Alive! I can show you and teach you how. In the last two decades a Revolution has taken place in the way business is being done today. Online Business’ are booming. Amazon, Facebook, Google, Twitter and so many that have changed the way we think about doing business Online. Store fronts also have an Online presence. I have wondered was there a way to do a legitimate way to do a home business online? I discovered there is a way and it’s taught step by step. So many,when they are desperate are looking for a get rich quick scheme that is automated and they don’t need to do much. I am here to tell you these deals will steal your money,and will put you in a worse position. Please beware. 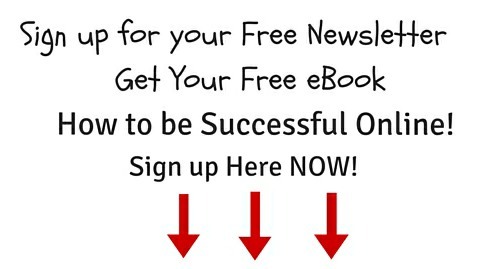 Please take a look at www.AttractionMarketingWithJohannaBaker.com You will receive an 11 Lesson Bootcamp on how the Attraction Marketing can be learned. . I have talked to many and if you learn this process your financial future can be very secure. You earn while you learn, you do this at the same time you are doing what you need to now to bring income home. In time, your days of worry about money will go away and you won’t be needing your job. How will that feel? This entry was posted in What is Possible on July 2, 2014 by BoldandBrave.